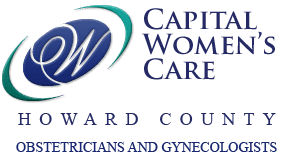 It is with great sadness that I am saying goodbye to Capital Women’s Care effective July 20, 2018. My husband’s career with the US NAVY is taking us to Washington State. We are looking forward to exploring this part of the country, but I am very sad to be saying goodbye to Maryland. It has been our home for the last 6 years and I am forever thankful for the wonderful personal and professional relationships I have made. The relationships that I have had the privilege to develop and grow with my patients have been invaluable to me. I am honored that you have allowed me to take part in your lives at such a personal level. I have complete confidence that our other providers will continue to provide you with excellent care! I will truly miss this amazing practice, and the wonderful women that I have known as patients. I will always appreciate our time together and you will always be in my thoughts!